5:30 pm, 11/14 VBB’s next production: A celebration of VBB’s Archives at the University of Houston Library! Visit VBB’s Flickr site to view photos from VBB's season and from most recent Borderlines production! Don't leave without buying a book, a DVD or a t-shirt! If you have ideas about shows you’d like to see presented in Houston or would like to participate in community discussions, please call or email our office. To get regular updates about our shows please join our email list. This year, Voices Breaking Boundaries (VBB) enters the second half of its second decade in Houston with a continuation of our ground-breaking Borderlines series, including VBB's trademark living room art productions that transform residential homes. Borderlines productions focus on the border regions of North America and South Asia and are based in two Houston neighborhoods, Northside and Gulfton, to explore how people attempt to cross borders, the prices attached to such dangerous treks, and the way these global issues reflect the realities faced by populations in Houston. The season also includes book launches of VBB's art catalogues Borderlines: Volume One and Two in both Northside and Gulfton as well as in Austin and Karachi, Pakistan. Additionally, VBB is partnering with the Houston Public Library to feature new work by Artistic Director Sehba Sarwar. Join VBB for our Borderlines: Volume Two book launch & celebration! Celebrate with us our newest publication with music from DJ Q from KarmaDJs and Gulfton's own DJ Lalo, food, drinks and more! Throughout the afternoon, contributors including Michelle Garcia, Shirin Herman, Sehba Sarwar, Harbeer Sandhu, Dr. Maria Gonzalez and Christina Sisk PhD will be available to sign catalogues. Also present will be Borderlines design artist Joshua Turner and managing editor Ana Laurel. Borderlines: Volume Two features essays, poetry, interviews, and photography from VBB's 2014-15 living room art productions. Grounded in Houston's Gulfton community, Borderlines explores cross-cultural connections across North American (Canada-Mexico-US) and South Asian (Bangladesh-India-Pakistan) border regions. This event is cosponsored by American Pakistan Foundation, Avenue CDC, Baker Ripley Neighborhood Center, and Saint Arnold's Brewery. During October and November, VBB's Artistic Director/Founder Sehba Sarwar led women's storytelling workshops at Baker Ripley Neighborhood Center and Somali Bantu Community of Greater Houston (SBCGH). In the gatherings that included writing, food and community, new and veteran entrants to Houston and the US delved into issues of displacement, the state of being transnational, and the urgency one faces in coming to terms with being in-between. The outcome of the workshops will be shared with the larger public at a special reading and conversation session at Houston Public Library's Central Library in the First Floor Gallery. The afternoon will include readings and writings by Zema Kelleta, Tanya Jackson, Muna Tamang, Sukhada Tatke and Azeb Yusuf. An exhibition of interviews from Sarwar's blog, What Is Home? will be on view till December 29, 2015; Sarwar will also read excerpts from her memoir-in-progress. The reading and exhibition are part of Building Bridges: Poetic Voices of the Muslim World, presented by Poets House and City Lore, in partnership with the American Library Association and the Houston Public Library. Houston-based artists include Gelson Lemus aka w3r3on3, Jasminne Mendez, Lupe Mendez, Delilah Montoya and Stephanie St. Sanchez; and international artists include Francisco-Fernando Granados and Manolo Lugo (Canada), Cerrucha and Laura De Leon (Mexico), Veer Munshi and Sebastian Varghese (India), Naila Mahmood, Masooma Syed (Pakistan), and artists from the No Man's Land project Britto Arts Trust (Bangladesh) and Shelter Promotion Council(India). Living room art returns to Near Northside! This time, VBB will transform a home with work that explores the places of our origin and their lasting effects on our identities and our paths of migration. Interested in volunteering? Click on this link to learn about available shifts! Cosponsored by Avenue CDC, Baker Ripley Neighborhood Center, Fe y Justicia Workers Center and KPFT 90.1 FM Pacifica Radio. In February 2016, Karachi Literature Festival will launch the first two volumes of VBB's Borderlines series; Sehba Sarwar, Tehmina Ahmed, Naila Mahmood and Noor Zaheer (India) will share excerpts from their writings. The session will be moderated by Ghazi Salahuddin. The reading and panel will include an exchange of ideas and deeper discussion of today's border issues as well as the sale of Borderlines Volumes One + Two. Creating connections between two border regions, South Asia and North America, Borderlines Volumes One + Two are high-quality art catalogues filled with essays, poems, and interviews along with images from VBB's visual art productions. Writers, poets and scholars in the first two volumes include: Tehmina Ahmed (Pakistan), Monica Arreola (Mexico) Nandita Bhavnani (India), Minerva Laveaga (USA-Mexico border), Tayeba Begum Lipi (Bangladesh), Emmy Perez (USA-Mexico border), Sehba Sarwar (Pakistan-USA), Bapsi Sidhwa (Pakistan-USA), Adriana Trujillo (Mexico), Noor Zaheer (India), and many more. The catalogues are edited by Margot Backus PhD and Maria Gonzalez PhD. VBB's Borderlines Volumes One and Two will be launched in Austin, TX with readings by Harbeer Sandhu, Shreerekha Subramanian, and Sehba Sarwar. 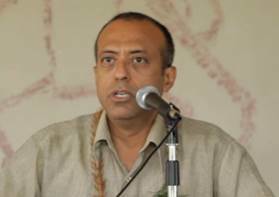 Using their writings as a guide, Sarwar, Subramanian and Sandhu will discuss borders and their impacts. The publications will be available for purchase. The evening is organized by South Asia Institute, University of Texas at Austin. At Rothko Chapel's symposium, Alternative Economies, Resilient Communities, which focuses on creative, effective responses to eliminating economic inequality, Sehba Sarwar along with artists Christa Forster and Yaksha Bhatt will create a performance, Feeding Ourselves, that includes monologues collected by Sarwar. The shared stories reflect day-to-day challenges faced by the women in their efforts to create "home" and feed their families. VBB'sFeeding Ourselves performance takes place right before Rothko Chapel's session entitled More than Half: Gender in Alternative Economies. Make sure to attend both sessions! VBB's Borderlines Volumes One and Two will be available for sale most of the afternoon. To learn about Rothko Chapel's Symposium, please click here; to register to attend the Symposium, please click here. VBB is excited to partner with Brazos Bookstore to launch our latest publication, Borderlines: Volume Two. Writers include editors Margot Backus and Maria Gonzalez, poet Emmy Perez (via recording from McAllen, TX), Christina Sisk who interviewed members of a Mexican arts collective The Asamblea de Artistas Revolucionarios de Oaxaca (Assembly of Revolutionary Artists of Oaxaca or ASARO), and Sehba Sarwar, who conceptualized VBBâ€™s Borderlines project. Sarwar will read from narratives collected by documented and undocumented women and teenagers in Houston. The evening will include refreshments and drinks. This pop-up production is the culmination of VBB's three-year Borderlines project and will visual art from the past three years by photographers and videographers Logan Beck, Os Galindo, Karen Martinez, and Victoria Paige Gonzalez. Also, VBB's Borderlines Volume One, which was based in Near Northside, will be highlighted through readings by contributors Rob Block, Maria Gonzalez, Sehba Sarwar, Monica Villarreal and more. Jimmy Castillo will spearhead a street installation creating space for the community to share responses to neighborhood issues, and Devil Killing Moth will close out the afternoon with a live performance. The afternoon includes music by DJ E. Rock, refreshments, and beer donated by Saint Arnold's Brewery. Borderlines Volume One, featuring art created in Near Northside, will be sold at a special price. The evening is cosponsored by Avenue CDC and is part of Northside Neighborhood Day celebration. VBB is excited to be a part of Asian Americans in Houston: A Kaleidoscope of Cultures. The exhibit will feature objects and images from past VBB productions along with other Asians in Houston and their many contributions to Houston and its culture. Topics will include an overview of Asian immigration, a Buddhist temple, and stories of individuals who trace their ancestry to China, Japan, Korea, Southeast Asia, and South Asia. The exhibit will bring to life stories in the articles from the fall 2015 issue of Houston History magazine by featuring artifacts, photographs, and documents representing a cultural bridge between Asia and Houston. The Houston History article will be launched at a special reception on Thursday, November 19, featuring VBB along with other participants from the exhibit! Voices Breaking Boundaries is excited to announce that the University of Houston's Friends of Women's Studies (FWS) has included Sehba Sarwar and VBB as part of the FWS Carey C. Shuart Women's Archive at the UH library, Special Collections. The library is in the process of collecting and archiving final materials from VBB and soon the living archive will be available for viewing. The material was collected in conjunction with a Fall 2014 HIST 6383 course taught by Dr. Kairn Klieman. Graduate students conducted fifteen interviews with Sehba Sarwar and VBB board and staff members. Community members were also part of the interview process. VBB will showcase its living room art catalogues as part of the Gulf Coast Literary Journal and Houston Public Library's annual LibroFEST. The afternoon will include book signings by Borderlines: Volume One writers and editors. 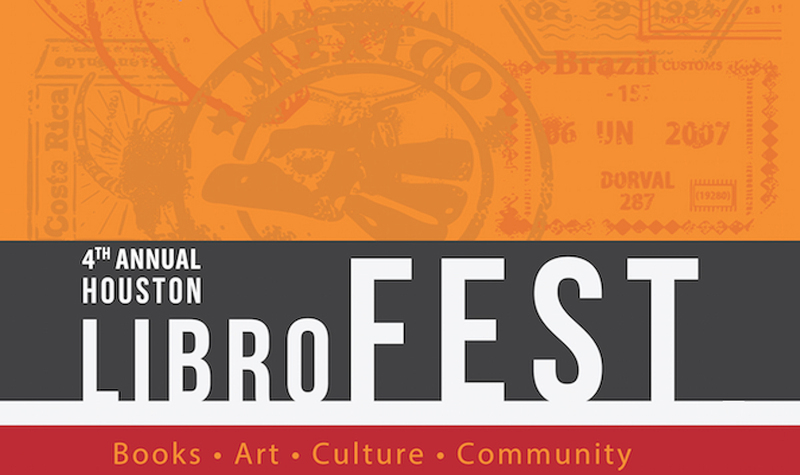 Other LibroFEST activities include workshops, interactive entertainment with a scavenger hunt for custom-made trading cards of Latino Veterans, handcrafted by Jesse Treviño, and loterí a gaming. Also taking part in the festival: musicians, artists, and local literary organizations and vendors including Arte Público Press, Gulf Coast Literary Journal, and many more. VBB will co-sponsor a panel discussion titled The Artistry of Social Change as part of the University of Houston Downtown's Center for Critical Race Studies (CCRS) Scholar-in-Residence Program, featuring CCRS's scholar -in-residence Dr. Subramanian Shankar, artist Ayanna McCloud, and VBB's Artistic Director Sehba Sarwar. The afternoon includes short readings, a rich conversation between writers and audience, and refreshments. VBB's Borderlines Volumes 1 and 2 will be available for sale. For more information about events around UHD's scholar in residence program, please visit the CCRS Scholar-In-Residence Program website. cross borders, sustain dialogue and incite social justice through art.